Marathon training took an interesting turn in January as Sports Shoes set me a trail run challenge. Living in London, I've never thought about trail running. 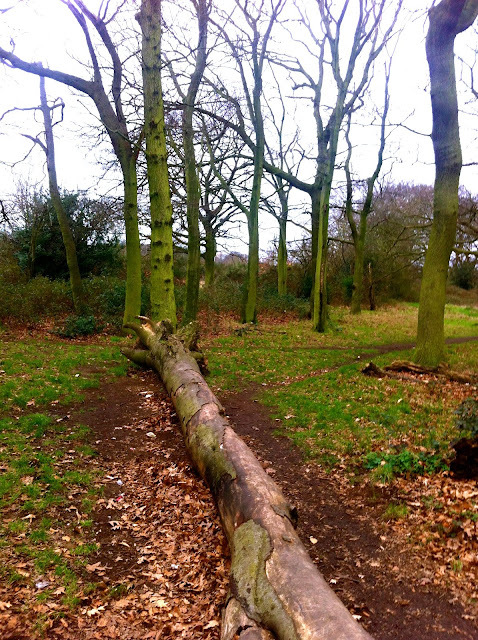 If you were to talk to me about trail running, I picture images of woodlands and vast acres of green spaces, out in the counties and countryside, with muddy, trodden footpaths, formed from the decades of humans and animals, who have passed along here. It's a type of running that is about connecting with nature. What is trail running? It's like I imagined; running on any kind of off-road surface, so tarmac doesn't count. This can include mountains, woodlands or grasslands. As they launch their trail hub, Sports Shoes set me the challenge to run several times each week in January. I had to complete at least one run on the treadmill and one trail run each week. I began to research possible routes. Google Maps was very helpful; I zoomed in on areas where there were large clusters of green spaces and took it from there. Whatever city you live in, this could be something you try. For my marathon training, I decided in December to restart the work-home run commute every Tuesday. It's a 14-16km distance-depending on the route I take. Whilst it's good for increasing my mileage, I have found that it does feel a little repetitive. With the trail run challenge, I decided to complete the weekly trail run on Saturdays, when my long, slow run takes place (endearingly known among runners as the LSR). It was the perfect opportunity to explore the city in a different way and be more creative and liberated in my routes. I've mentioned it a few times, but I'm not keen on running distances under 10km, bar the 1 miler. Time always feels like it's flown by too quickly before I've gotten to enjoy the run. Surprisngly, it's the longer distances that I love. I usually complete a few runs a week that are under 10km, so I used the trail run challenge to complete some of those runs on the treadmill. Given that the weather became very cold, wet and windy in January, I looked forward to running indoors! I was surprised to find that the treadmill runs were quite useful to focus on my running form and complete speed workouts. The result was that my long runs on Tuesdays and Saturdays were getting slightly faster. Yet running on a treadmill is equally something I dread unless I'm doing a HIIT session or deadmills (when the machine is turned off and you run). I felt that running on a machine, for a prolonged period of time, starts to feel tedious as you're on the same spot for a length of time. In the end, I started to dread some of those training sessions and my willpower started to fade. By Saturday, I would look forward to the trail runs. To be away from machines and bricks and mortar. commute. It felt refreshing. When trail running, I found I was more mindful; like a young child, I followed those horse shoe mud prints. I didn't know what would be around the corner and the surface regularly changed. Sometimes it was a flat grassy surface, then it would change to muddy and uneven or small hills. I would become more aware of my environment. For a city trail run, pack a fully charged phone, debit/credit card (for emergencies), fluids and mid-run snacks. 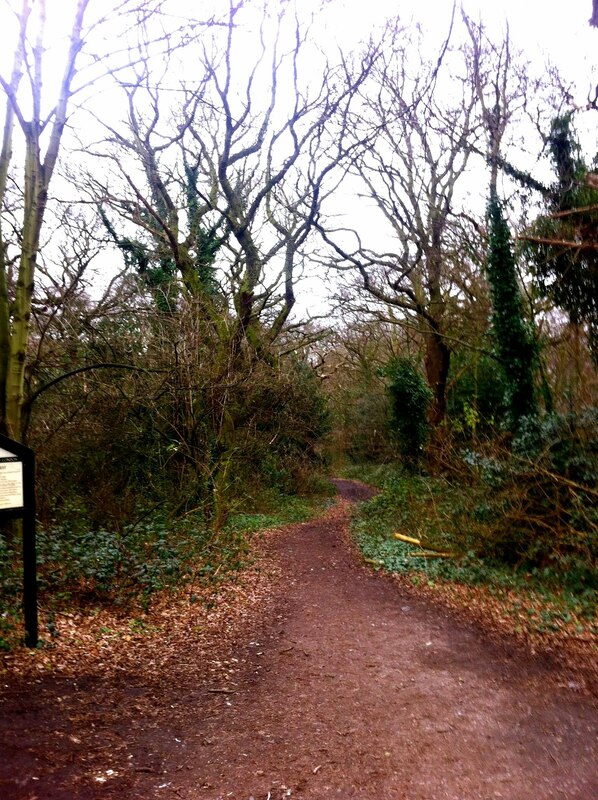 Londoners, I enjoyed trail running in Epping Forest, Primrose Hill, Wimbledon Common and Wanstead Flats. I'm wearing Asics Gel-FujiAttack 4 trainers, which are designed for trail running. I found them comfortable and felt much lighter than it looks. They also felt supportive and the grip was very good- I didn't slip during any of my trail runs. Have you completed a trail run before? What did you like about it? I'd love to know. I was compensated for this post, however all opinions are honest and my own.